So exactly what is a Digital Smart Home? Well, many homes already have some form of digital technology be it a digital video recorder or digital TV but, a Digital Smart Home is a home that has been designed to integrate all of the homes systems through a smart wiring or structured cabling package. 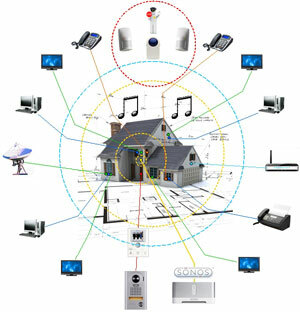 The end result is a Digital Smart Home allowing for today and tomorrows technologies. 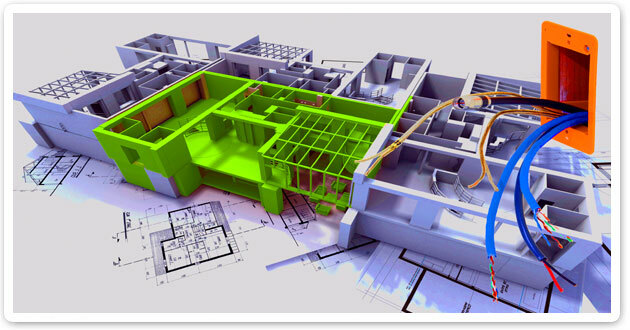 Integrating all of your homes systems with a structured cabling design is easy. Instead of locating your security system panel in the walk-in robe of the Master Suite and your TV splitter in the roof somewhere, your floor heating thermostats on the wall next to the light switch which is next to the fan switch opposite the air-conditioning remote wall dock, you simply locate everything in one location. This is commonly known as the structured cabling hub. 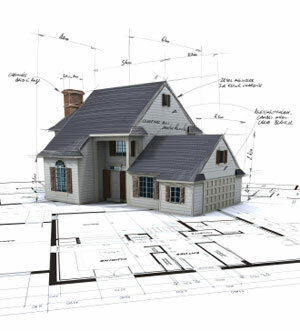 What you will end up with is a home that has been wired to a specific design and a design that has been conceived considering future technologies. The end result is a Digital Smart Home, a home prepared for current and future technologies. Why should your new home be a Digital Smart Home? The analogue world is coming to an end and without a structured cabling design preparing your new home for the digital world you will be disappointed with the options available to you. In addition to this, should you come to sell your home you will find that people would have come to expect some level of digital preparedness just like they have come to expect a hot water system. When is the best time to ensure your new home is a Digital Smart Home? If you’re a new home builder or renovating an established home the best time to start your structured cabling design is before construction. The importance of a structured cabling design is too often diluted. It is our conclusion that the structured cabling design is as important as any and in fact more important than most of the other design elements in your new home. Hours upon hours are often spent on paint colours, door handles and plants but, due to a lack of awareness no time is spent on even considering a structured cabling design. a home audio system with speaker wiring to the alfresco and living areas or a surround sound system in the home theatre just makes sense. In addition systems such as the home security, home surveillance including home cameras and the home access control should all be considered and if required included in the structured cabling design before construction commences. If you’re a new home builder or renovating an established home the best time to get your home wired to be digital smart is during construction. How do you ensure your new home is a Digital Smart Home? If you’re a new home builder or renovating an established home it’s easy to ensure your new home is a Digital Smart Home. Simply contact Vision Living by email or telephone and we will make an appointment to sit down with you, your partner and your builder and over a cup of coffee take the first step of your structured cabling design to ensure your new home is a Digital Smart Home.